St. Patrick's Day is next week! And lucky me, (Get it? Ha!) 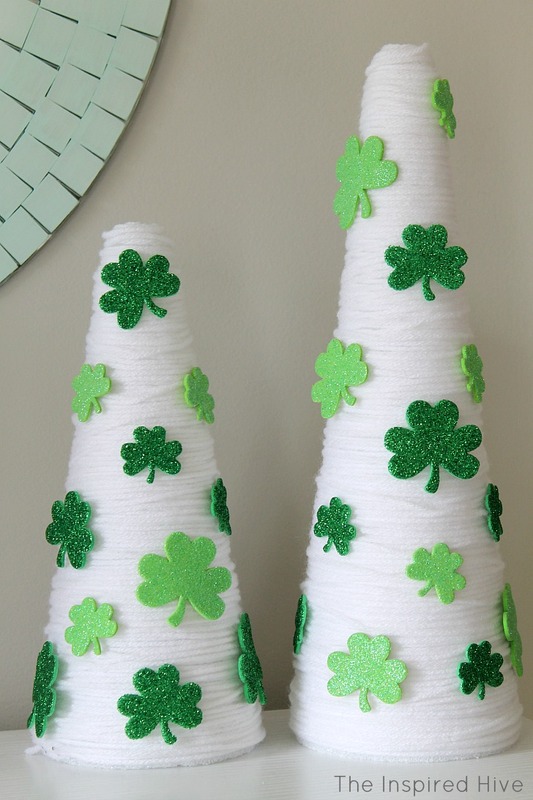 I already had some easy DIY decor ready to go! 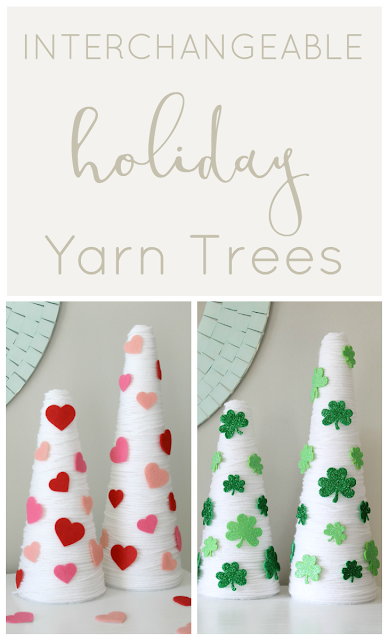 Last month I made these cute Valentine's Day yarn trees. Well, guess what? They are easily interchangeable for any holiday! 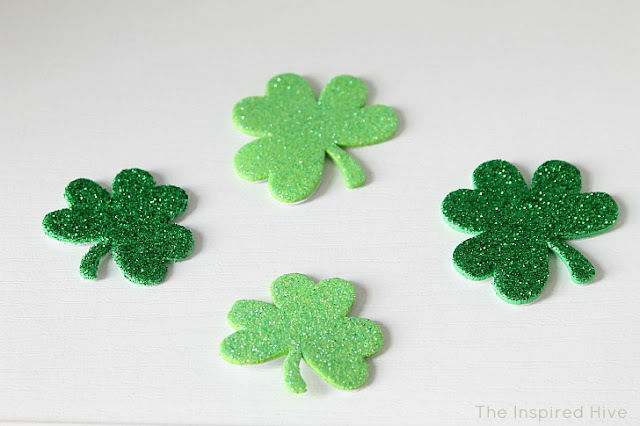 I just swapped out the Valentine's Day hearts for some shamrock St. Patrick's Day foam stickers (affiliate link- see my disclosure policy.). This is decor you can keep out year round and adjust for each season and holiday. 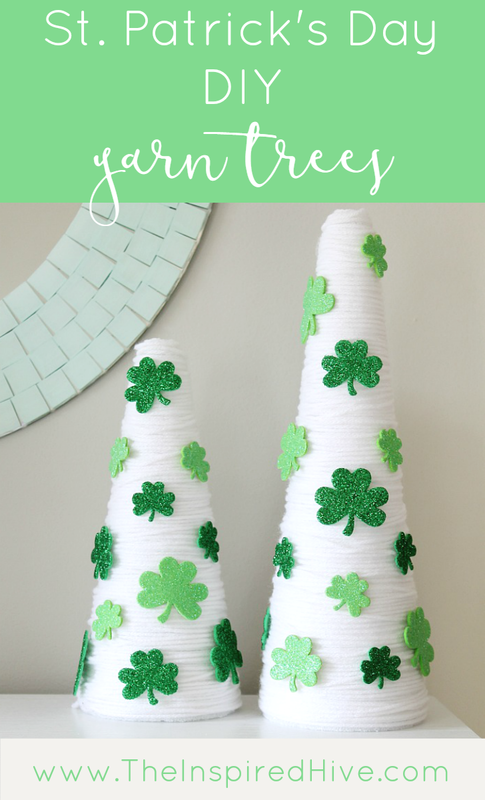 Kids will love helping you decorate the trees too!